Offering you a complete choice of products which include plc panels, control panels, mcc pcc panel and junction boxes & pdb's. 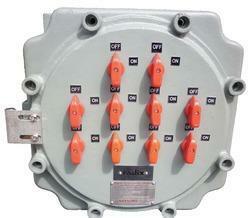 To meet the diverse requirements of our clients in the best possible manner, we are offering PLC Panel. Offered panel is manufactured by skilled professionals using the best technology to render maximum client satisfaction. In order to meet variegated demands of clients, this is made available in various specifications. Besides, clients can avail this range at market-leading prices within the given span of time. Integrated with PLC, HMI, Barriers, VFD etc. HMI’s with screen size 3.5"" to 15""
Desk type / Floor standing / Wall moun"
Electric Control Panels are flat, often vertical, area where control or monitoring instruments are displayed. They found application in factories to monitor and control machines in production lines and to control the power supply. We are reckoned in the industry as the best organization dealing in this product line. Our offered products are quality tested and is dispatched after the quality team certify the product “OK”. These products are assembly of high grade quality ensured components, enhancing the longevity of products. Radix manufactures high-quality control panels for a wide variety of applications. 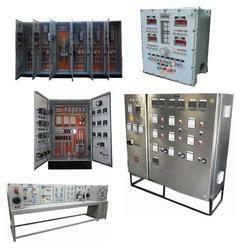 Choose from Fiber-Reinforced (FRP) Panels, Annunciator Panels, Purge Panels,Instruments Panel, Mimic Panels, Variable Frequency Drive (VFD) Panels, Mimic Panels, Test bench Panels, PLC Panels, Stainless stainless steel Panels suitable for Pharma/ Sanitary industy, Flameproof panels options for hazardous areas and more! 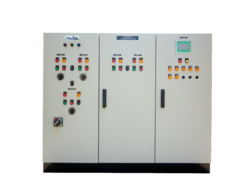 We have executed many projects in BMS, Machine automation, DAQ system etc where we have suppplied panels as its part. We also have dedicated panel manufacturing facility at our Navi Mumbai Location. Our client tele includes almost every of the Pharma Industry giant, Chemical, Automobile, Power sector clients. Do try to be as specific as possible in the comments when making your inquiry to help us serve you quicker! Features SS316 / SS304 / MS JB with gasketed trims FLP Junction boxes Top / bottom / side cable entry Aluminium / copper bus option.